A true New Orleans party is the best way to describe the scene when The Bucktown All-Stars take the stage. For the past 24 years, the band has performed a mix of rock, soul, funk, R&B and legendary New Orleans classics. Unleashing its high-energy mix of second line funk and Motown soul—the necessary ingredients to entertain the room full of hip-shaking fans—Dem All-stars’ infectious onstage chemistry has added a true Crescent City flavor to festivals, nightclubs, and special events across the Gulf South. 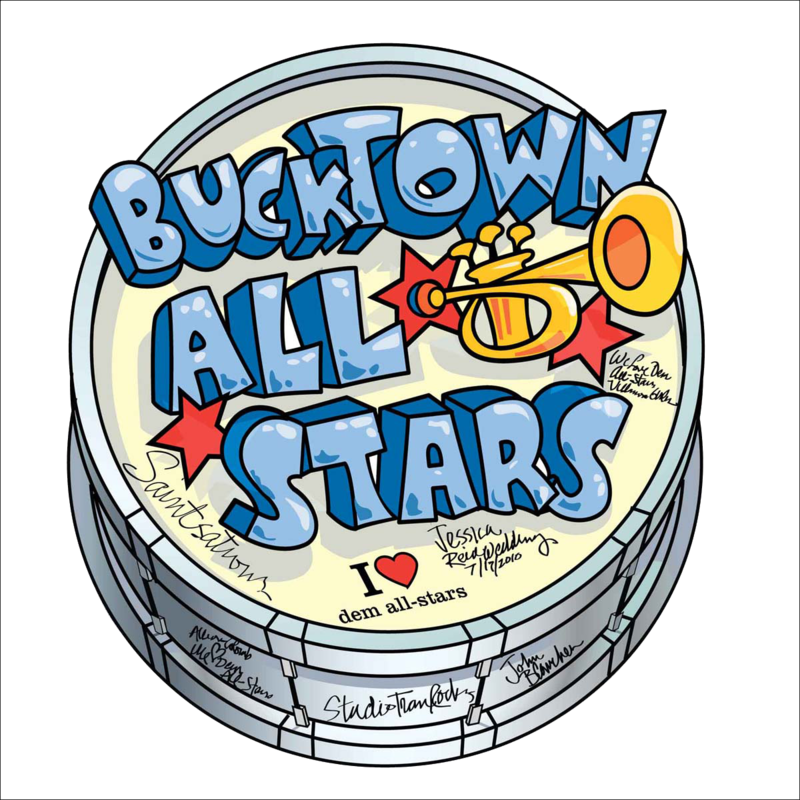 The Bucktown All-Stars continue to put an indelible mark on the New Orleans music scene. 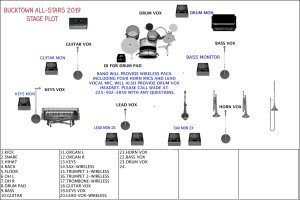 The band has been the recipient of numerous accolades and awards, including several Gambit Reader’s Choice (1999, 2001, 2006) and Offbeat Best of the Beat (2005, 2006, 2008, 2009, 2010, 2011, 2012, 2013, 2014, 2015) awards, as well as having been named New Orleans Favorite Local Band in 2000 and 2009 by the readers of New Orleans Magazine and in 2009 by the readers of Jefferson Life Magazine. 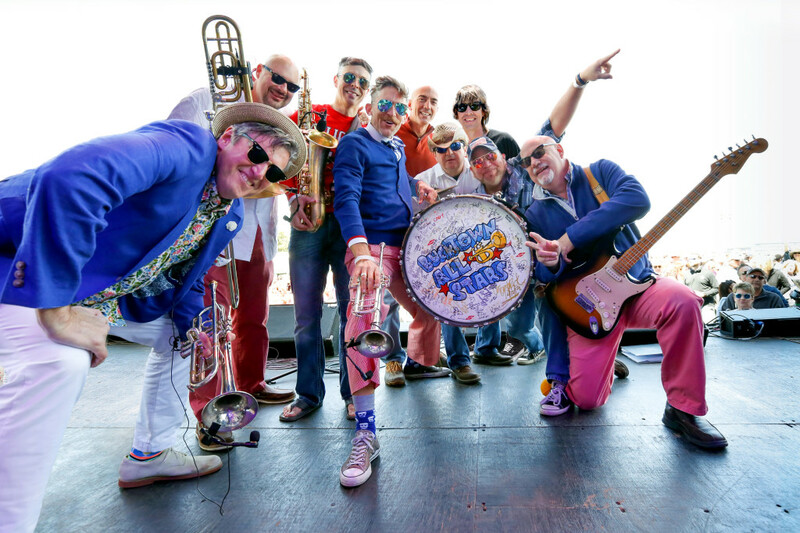 The guys in the Bucktown All-Stars pride themselves on ‘bringing their A game’ to every performance, whether it’s a wedding reception, a Mardi Gras ball, a convention, a fundraiser or an outdoor festival. The members of the band bring a ton of talent and years of experience to live performance and entertaining the audience. 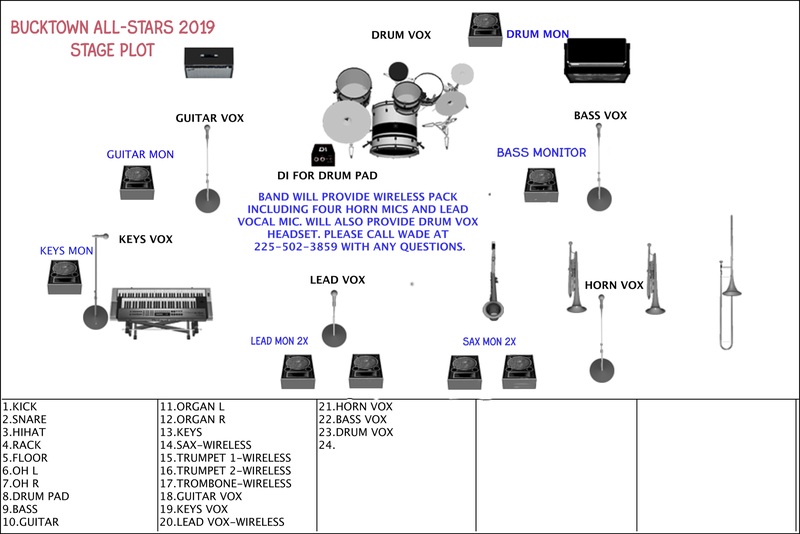 Built on a funky rhythm section and solid horn section, the band’s performances have led to being a first call band for that special party situation. The band has also appeared at every major festival in the Gulf South, including the New Orleans Jazz & Heritage Festival, French Quarter Festival, Gretna Fest, Biloxi Seafood Festival, Wednesday at the Square, Baton Rouge’s Earth Fest, Endymion’s Extravaganza , Samedi Gras, as well as many other regional festivals. The band’s high energy performances have led to several special sports-related events for the New Orleans Saints, Hornets, Sugar Bowl and New Orleans Bowl, including the post-Victory Superbowl Parade private party for the Saints team and their families, the grand opening of Champions Square, as well as many pre-game concerts–2010 Saints vs. Cardinals playoff game, 2010 Saints season opening vs. Vikings in Champions Square, Sean Payton’s “Pay It Forward” fundraiser and numerous bowl games and Hornets games. The band’s chemistry was tested when Hurricane Katrina ravaged the New Orleans area. Despite its unknown future, the group organized a fundraiser to help New Orleans musicians at the Pat O’Brien’s in Memphis. The band used borrowed instruments to play and raised over $6,000 in two cathartic performances, which was donated to MusiCares. 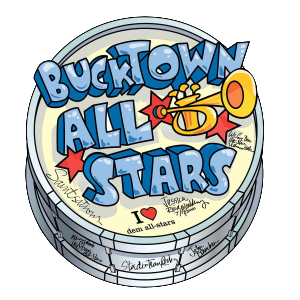 The fundraiser marked the beginning of The Bucktown All-Stars’ campaign in spreading the word that New Orleans was open for business at their public and convention gigs.